Have you ever wondered if a buyer&apos;s premium is reasonable? Today more auction houses are starting to charge them, so it&apos;s important to know what a buyer&apos;s premium is. It&apos;s also helpful to know what range is a reasonable amount. This can help you spot when you&apos;re being charged an exorbitantly high premium. What Is a Buyer&apos;s Premium? This is the big question so let&apos;s get to the nitty-gritty of it. 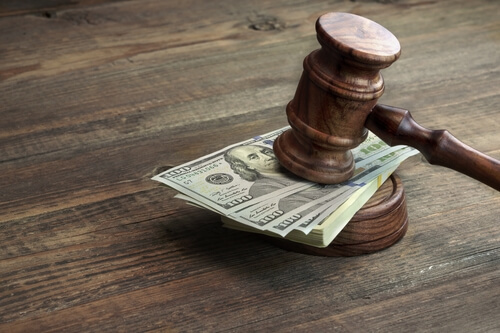 Auctioneers charge this extra fee based on the "hammer price," or price an item is sold for at an auction. A buyer&apos;s premium is typically a straight percentage of this figure. Let&apos;s say Bill purchases an antique clock for $100 at an auction, and the buyer’s premium is 10%. He must pay a total $110 for the clock plus other fees like sales tax the auction house charges. It&apos;s important to note that the buyer&apos;s premium isn&apos;t an additional tax but instead is an additional charge. One of the pluses of buyer&apos;s premiums is auction houses usually advertise this figure, so you&apos;ll know how much will be tacked on if you purchase an item at the auction. Unfortunately, these companies tend to be less transparent about the commissions they&apos;ll charge the seller so if you&apos;re selling items make sure to learn this figure. One caveat to keep in mind in the "buyer&apos;s premium" sometimes isn&apos;t known as such. You might see it advertised as a "Commission" or "Service Fee." Even if an auction house refers to this fee by a different name, it still has the same function. The fee that&apos;s added on is part of the total price that&apos;s taxable. Small auction houses tend to charge between 1% to 15% for buyer&apos;s premiums. However, large auction houses sometimes charge up to one-quarter of the hammer price. Make sure to read the terms & conditions of an auction house to find out what they&apos;re charging. Some auction houses only charge a buyer&apos;s premium for on-site auctions but not for ones that are on location. The buyer&apos;s premium has actually been around for thousands of years. In Ancient Rome during the reign of Emperor Augustus, buyers had to pay a 1% tax on purchases. The auction houses Christie&apos;s and Sotheby&apos;s in London introduced the modern buyer&apos;s premium in London 40+ years ago in 1975. The initial fee was 10% of the item&apos;s price. This extra charge caused outrage from the public. It caused such a controversy that the British Government conducted a 7-year investigation after complaints by two London-based art & antique dealers. The dealers argued that the two auction houses were conducting unethical/illegal activity by charging the extra fee. However, within time they dropped their cases due to the high costs. Within time the buyer&apos;s premium charge became a standard fee charged by auction houses. The rates for the premiums have increased and decreased since the modern fees were started in the 1970s. They&apos;ve dipped sometimes but have gradually increased in the long term. For example, in 1982 the New York Times reported that international auction houses charged buyer&apos;s premiums ranging from 8% to 16%. Christie&apos;s charged an 8% premium in London and 10% fee in New York City. Today auction houses often have a tier system for auctioned items at different price ranges. This provides a more structured and uniform system for charging the premiums. Since the mid-70s auction bidders have questioned why auction houses tack on an extra fee on top of what they&apos;re already paying for items they&apos;ve successfully bid for. What do auction houses say? The main explanation they provide for charging this service fee is to cover the costs of their facilities/resources. They argue this cost is required to ensure bidders receive quality service in terms of staff, marketing, and so on. A key issue that auction houses often under-state is they charge a buyer&apos;s premium simply because it&apos;s legal. After the two dealers dropped their cases against Christie&apos;s and Sotheby&apos;s the premium has been increasing since 1980 (8%) to now (25%). There&apos;s been a sky-rocketing increase in the premiums international auction houses charge. A key issue is the wording they use. The fee is labeled as "premium." In reality, it can help to decrease how much commission the auction houses charge the seller. What&apos;s the big deal? This encourages sellers to auction their items with auction houses that charge smaller commissions. The result is the auction companies generate the same income, but some costs are shifted from the seller to the buyer. Nothing in life is 100% but they usually are. This practice is also more common than the seller&apos;s commission. However, the premium is often buried in the fine print of the Terms & Conditions of the auction house. So you might have to do some research to figure out the percentage you&apos;ll be paying. It&apos;s become somewhat standard for today&apos;s auction houses to charge sellers a commission. However, sometimes auction houses offer premium-free auctions. It&apos;s worth noting these are blips on the radar. You should definitely look for these special events since they can save you big bucks on high-end items. That said, remember that these are the exception rather than the rule. Look for auction houses that include the buyer&apos;s premium in their advertising. If it&apos;s hidden in the fine print of the terms & conditions, there might be transparency issues. That&apos;s definitely case if the auction house doesn&apos;t list the premium rate at all. Yes, that&apos;s sometimes the case. Auction houses might charge higher rates when buyers use payment methods other than the standard cash/checks. They also might charge higher rates for Internet bidders vs on-site bidders. This isn&apos;t always the case, so it&apos;s important to do some research. Why do auction houses charge the premiums? The real reason is auction houses can compete better vs. the competition by charging sellers a slightly lower commission. They make up for it by charging a buyer&apos;s premium. This allows the auction houses to get a larger market share. Are higher premiums charged for more expensive items? Conventional wisdom says that would be the case. However, the highest rates of 25% are actually charged for lower-priced items, while the 12% to 15% premiums are usually applied to bids of $1k and over. Can the buyer&apos;s premium be negotiated? No, it&apos;s a set/non-negotiable percentage. Nevertheless, you can still shop around to find auction houses that offer lower rates for buyers. As a general rule larger auction houses charge higher rates. However, you&apos;ll generally be getting a better selection of auctioned items so it might be worth the higher costs.